When fighting cardiovascular diseases, type-2 diabetes, cancer and other modern diseases, we tend to focus on factors such as diets, exercises and even pollution. There are, however, events that might first look completely unrelated to these diseases, but could directly lead to the developments of them. And when you look at the trend, you realize that this is something you need to be aware of on a daily basis. A new study in the Journal of Neuroscience Research has just concluded that traumatic experiences can have potentially deadly physical health effects. The European authors who uncovered this were specifically interested in whether different types of traumatic events have different health consequences, and in particular, whether terrorist attacks affected our health differently when compared to other traumatic events. They recruited 84 subjects with diagnosed post-traumatic stress disorder (PTSD), with 39 having experienced a terrorist attack and the other 45 having experienced some other type of event. They gave them the Mini International Neuropsychiatric Interview, the Clinician-Administered PTSD Scale, and the Davidson Trauma Scale to discover the details of their PTSD, and performed detailed physical examinations and blood tests to investigate their physical health. None of the subjects were being treated for their PTSD at the time of the study. 1. Those with PTSD stemming from the terrorist attacks were more likely to have cancer than those with PTSD caused by other traumatic events. This included both benign and malignant cancers. 2. The longer the PTSD continued, the more likely the participants were to develop cardiovascular disease, regardless of the causal event. 3. People with PTSD had a higher risk of type-2 diabetes than the general non-PTSD population. 4. Victims of terrorism who developed PTSD had more physical illnesses than those who had developed it as a result of a different type of event. 5. Heart health risks were more acute in men than in women with PTSD, and the cancer risk was worse for women than for men. With the help of previous studies, the authors speculated that terrorist attacks might have worsened the effects of cancer because the psychological effects were different compared to those experienced after something like an accident. A terrorist attack is unexpected, like an accident, but also involves a deliberate infliction of harm on innocent people. From prior studies, it has been shown that this characteristic caused more serious PTSD than unintentional events, which might explain why cancer becomes a risk. 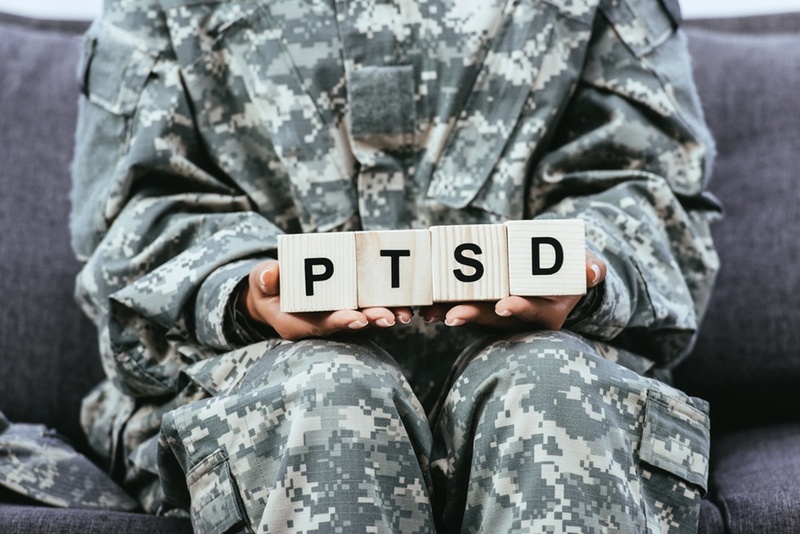 Very little is known about the mechanisms underlying the link between PTSD and cardiovascular disease or cancer, but stress almost certainly plays a role, especially since it is acute and long-term in the case of PTSD. However, this proves once again that stress is the number one enemy of your health, especially when it comes to high blood pressure. 1) Physical Stress – caused by diseases, heavy workout and other physical strain. 2) Mental Stress – caused by events such as difficult tasks at work. 3) Emotional Stress – caused by events such as divorce, the death of a loved one, or a terrorist attack. 4) Sensual Stress – caused by events such as loud traffic noises, TV noises, or being surrounded by a large number of people. … and these stress factors cumulate. In fact, for a long time after the original stress factors are gone, your stress hormone levels will remain high – making you sick. Since there is no way to avoid all forms of stress, the only way to counteract it is to give your mind and body what I call a “Focused Break”. Focused Breaks reboot your system and drop your stress hormone level on the spot.